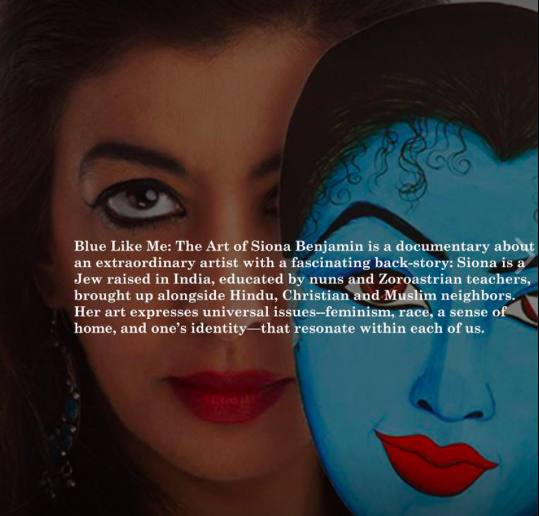 Blue Like Me, a documentary that profiles Indian-American artist Siona Benjamin. 6.30 – 6:45 pm Introductions by Dorian Bergen, Yona Verwer and Gloria Orenstein. Siona is a Founding Member of the Jewish Art Salon, and on our Executive Team. Come meet new people, and view the amazing exhibition. 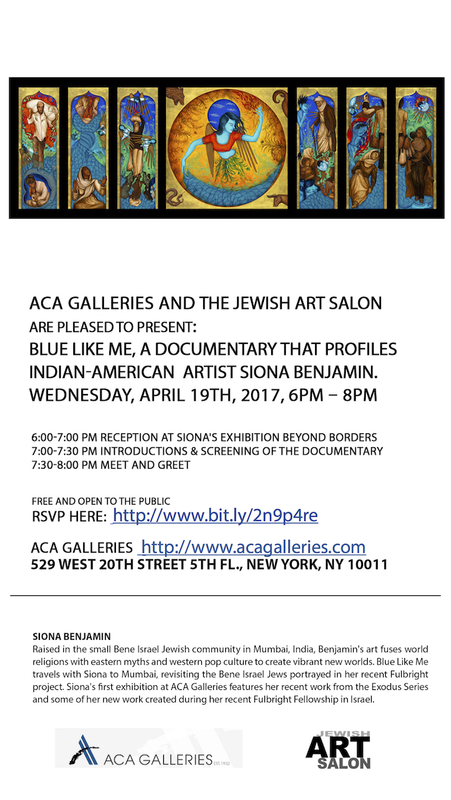 NY Jewish Week: “Siona Benjamin’s Magic Carpet Ride“. And in Blueprint: Painting A Spectrum: Jewish Women of Color. More info on her Beyond Borders exhibit here. More info on ACA Galleries and Siona. Photos of the April 19 event here.